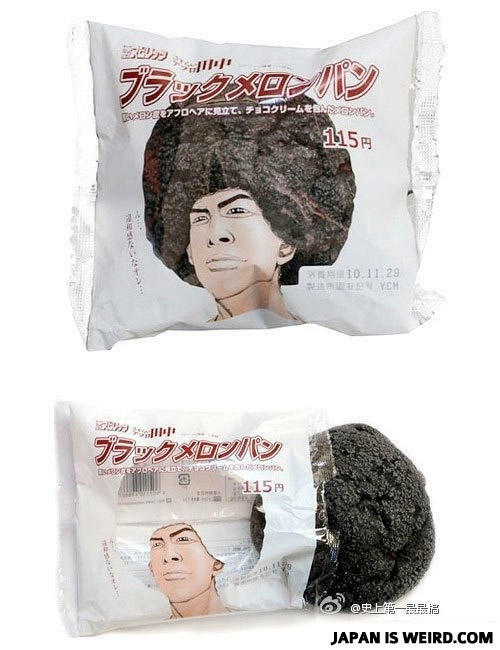 I am now hungry for afros. Racist? We're not racist! Some of our best melon breads are black. You'd have to be a jive turkey to not want a bite of this rad cookie. Lower Text Translation: "Imagine the Afro hair on the outside and enjoy the chocolate cream on the inside" Why are you blacks so angry? I don't see the issue. Tanaka, pass me the Jew-Nose vacuum cleaner, I'd like to clean where this gaijin was standing. Why did the boy jump off the building?